London, 3 March, the CEO of the National Investment Agency “Invest in Russia”, Adviser to the Minister of Regional Development of the Russian Federation Yury Voicehovsky took part in the fifth annual conference of the London School of Economics, LSE SU Emerging Markets Forum – 2014, dedicated to the issues of emerging markets. Yury Voicehovsky made a report on “Investing in Russia: Opportunities and Challenges”, which was taken with much interest by the audience. Report of the National Investment Agency’s CEO showed to the international investment community that, despite the short period of geopolitical instability, the Russian markets remain attractive to foreign capital. 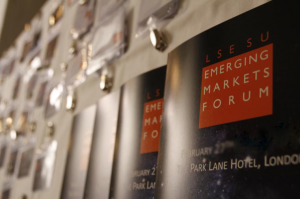 Forum “LSE SU Emerging Markets” was organized in 2009. Since that the forum has been a prestigious platform to discuss the problems and prospects of emerging markets.